The cost of insurance is 6.5% of your total entry and you will be eligible for a 100% refund including taxes and processing fees if you need to cancel. For full coverage details click here. 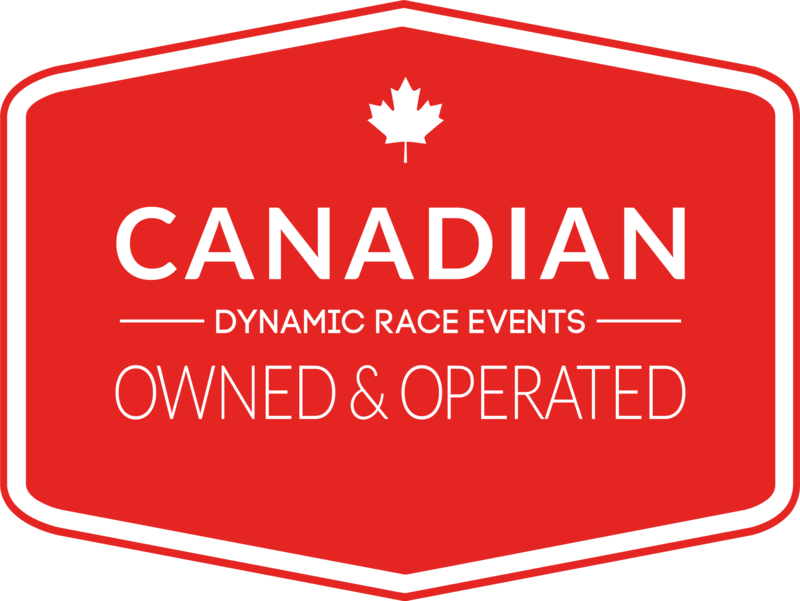 With the addition of TicketGuardian as an option, effective for all 2019 events, Dynamic Race Events will no longer offer rollovers to the following year. All race entries are NON-REFUNDABLE. PLEASE NOTE: If you choose to not opt in for TicketGuardian coverage you will forfeit your option to recoup any costs associated with your registration. Race Transfers - In the event that you are unable to race in an event that you are currently registered, race transfers to another one of our Series events in the SAME calendar year are possible up until 2 weeks from the race day you are currently registered for. A transfer fee of $50 + Race Roster processing fees will be applied to ALL transfers, regardless of distance of the original registration. Registration pricing differences will be applied if the transfer is to an event with a higher entry fee. If you have opted in to race insurance through TicketGuardian for your original race entry and choose to transfer to another event, this will nullify your TicketGuardian policy and your new event entry will NOT be covered under your original policy. If you are not a current TRIBC member, you can register online HERE to become one One-day TRIBC memberships are only valid for the single event for which they were purchased. Please note that TRIBC day of race memberships can be purchased online when registering. ATA and TRISASK memberships are also valid and recognized by TRIBC. Sorry, USAT meberships are not reciprocal with TRIBC. At package pick up, any athlete not able to show valid provincial membership and has not already paid for TRIBC day of race fee for that event will need to purchase day of race membership before your race package will be given to you. You must pick up your own Race Package and you must have valid provincial, state or passport picture ID to receive your race package. Races are held rain or shine and will not be cancelled except for cases of severe weather. Dynamic Race Events management will evaluate weather conditions and make an appropriate determination regarding initiation, cancellation or continuation of the race in question race morning. Such determination shall be based on prudent consideration by Dynamic Race Events, in conjunction with local law enforcement and/or other officials. Any announcements regarding course changes or race cancellation will be made by the race announcer on race morning before the scheduled start. In the event of inclement weather or unforeseen circumstances, Dynamic Race Events reserves the right to alter, cancel or eliminate any/all portions of the race, or to make any modification concerning the time, length or nature of the event. Any pictures captured of you on race weekend may be used by Dynamic Race Events for promotional purposes. By registering, you consent to said images or feedback use by Dynamic Race Events for any promotional or business purposes. Items left at the race venue, event shirts, and awards/prizes not claimed during the awards ceremony will not be mailed. Participants may contact Dynamic Race Events to pick up these items or may pick up items at a future Dynamic Race Events race, providing management has been notified at least three days prior to said event. Management reserves the right to reject a race entry for any reason. Abusive behaviour, speech or foul language by an athlete to a Dynamic Race Events staff member, race volunteer or fellow competitor can lead to your disqualification at an event. Any athlete disqualified by Dynamic Race Events will receive email notification as to any decision made based on their race day behaviour and the appropriate agencies will be also be notified including TRIBC and the provincial or state triathlon association where the athlete resides. Dynamic Race Events is not liable for any injury sustained by the participant during the course of training for, preparation for or participation in an event or any injury occurring to the participant following the event. By registering, attending, and/or participating in any Dynamic Race Events event, the participant agrees to any and all conditions, policies, and procedures as set out by Dynamic Race Events and acknowledges their having been informed and understanding of the same. The participant additionally acknowledges that Dynamic Race Events may, at its discretion, change, modify, add to, or delete any condition, policy, or procedure, and that the participant, understanding the possible occurrence of such action, does hereby agree to any and all current or future policies and procedures required by Dynamic Race Events for the participant’s engagement in any activity hosted by said company. Athletes MUST be present at the Awards Ceremony to receive their awards. Awards cannot be picked up by other athletes and due to the nature of our prizing (Glassware & Wine) we are unable to mail these out.